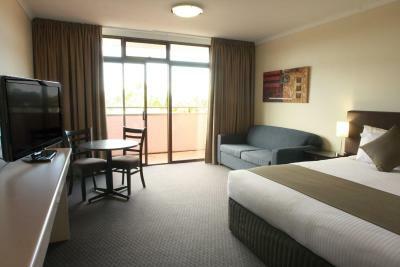 Lock in a great price for Adelaide Meridien Hotel & Apartments – rated 8.4 by recent guests! Bed was very comfy. Dined in at the motel's restaurant which was very pleasant. Hubby had the big breakfast and thoroughly enjoyed it. Lots of restaurants around to choose from if needed. Love the balcony. The hotel is extremely convenient and clean. The staff are extremely nice patient and helpful. we often stay at this venue. It is affordable. The staff are pleasant and as regular guests we are made to feel welcome when we return. I chose this location because there are plenty of places to eat along Melbourne Street and it is easy to catch a bus to the city. I did not have my car, so it was walking or busing. I chose to make my own breakfast in my room and found the accommodation very suitable. The staff were very friendly, free mini ar was a lovely touch, aged room but clean and tidy and good value for money. The bed was so uncomfortable I can hardly walk today but that may be ok for some people, I have a much softer mattress that I am used to. The breakfast was awesome. Mattress wasn't real comfy. Overall a pleasant stay for 1 night. Room comfortable. Enjoyed bonus of free mini bar. Very central for our needs. 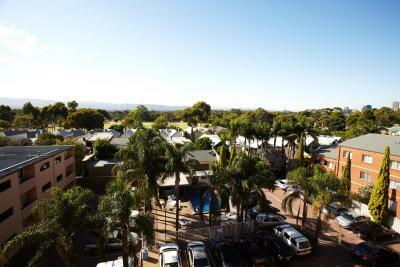 Adelaide Meridien Hotel & Apartments This rating is a reflection of how the property compares to the industry standard when it comes to price, facilities and services available. It's based on a self-evaluation by the property. Use this rating to help choose your stay! 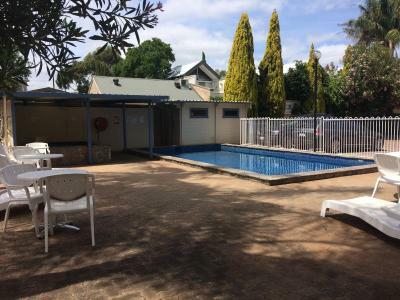 Boasting an outdoor swimming pool and a hot tub, The Adelaide Meridien Hotel & Apartments is located in North Adelaide. A guest laundry, 24-hour front desk and free WiFi in public areas are also available. The Adelaide Meridien Hotel & Apartments is just a 12-minute walk from the trendy boutique shops, cafes and restaurants in the city center. Free bicycle hire and free parking (subject to availability) are available. The property offers a variety of modern rooms, studios and hotel style apartments with free WiFi and a 42-inch flat-screen TV. Many rooms feature private balconies with views over Melbourne Street or back to the Adelaide Hills. Interconnecting rooms are available on request. 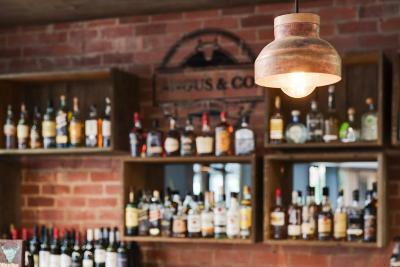 Angus & Co. Bar & Grill is open daily until late, serving a menu that offers you steakhouse vibes with a modern twist including favorites such as burgers, schnitzels, steak and salads. 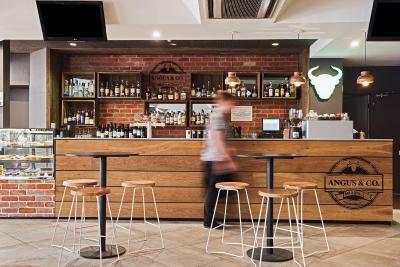 With a relaxed atmosphere you can enjoy a drink at the bar and take away coffee or stay for dinner in the restaurant. There are a range of trails and parklands in the surrounding areas for those who prefer outdoor fitness. North Adelaide is a great choice for travelers interested in cafes, restaurants and parks. When would you like to stay at Adelaide Meridien Hotel & Apartments? This spacious, air-conditioned room features a separate bedroom and a living area with a sofa bed and a small breakfast bar area with a sink. It also includes a free mini-bar, tea/coffee making facilities and a 42-inch flat-screen TV. Please note that the price is based on 2 guests. Maximum occupancy is 3 (see Hotel Policies).You can request your preferred bedding configuration in the Special Requests Box at the time of booking. Please note that all bedding requests need to be made at least 24 hours prior to arrival. 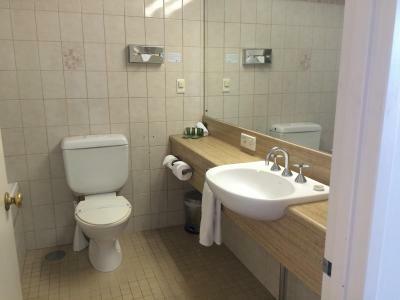 This spacious, hotel style apartment features air-conditioning and a small kitchenette with a microwave, toaster, tea/coffee making facilities, free mini bar and a stove top. It also includes a separate bedroom and a living area with a sofa bed and a 42-inch flat-screen TV. This large, air-conditioned room features a private balcony with views of Melbourne Street or the Adelaide Hills. 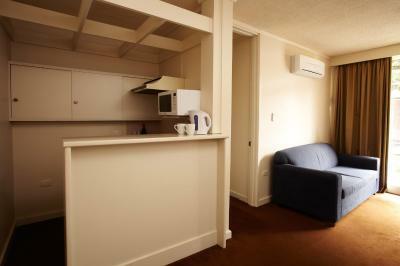 It also includes a spacious private bathroom, free mini bar, tea/coffee making facilities and a 42-inch flat-screen TV. Twin beds are available on request. You can request your preferred bedding configuration in the Special Requests Box at the time of booking. Please note that all bedding requests need to be made at least 24 hours prior to arrival. 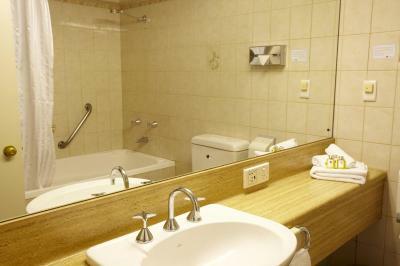 This spacious, air-conditioned room features a private private bathroom with a large corner spa bath. It also includes picture windows overlooking Melbourne Street. There is a free mini bar, tea/coffee making facilities and a 42-inch flat-screen TV. Enjoy the best of both worlds. Don’t spend ages in traffic trying to get out of the city - our location gives quick access to many main thoroughfares. Hotel surroundings – This neighborhood is a great choice for travelers interested in cafes, restaurants and parks – Check location Excellent location – show map Guests loved walking around the neighborhood! 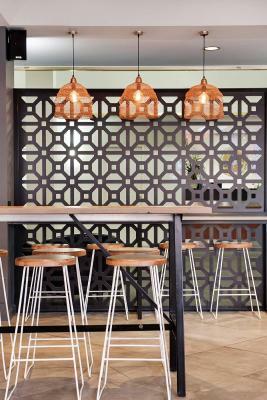 House Rules Adelaide Meridien Hotel & Apartments takes special requests – add in the next step! A AUD200 damage deposit is required on arrival (around USD143.61). This deposit will be fully refunded at check-out, as long as there isn't any damage to the property. Adelaide Meridien Hotel &amp; Apartments accepts these cards and reserves the right to temporarily hold an amount prior to arrival. Adelaide Meridien Hotel & Apartments accepts these cards and reserves the right to temporarily hold an amount prior to arrival. Please note that a AUD 200 cash bond may be required if guests do not present a valid credit card. A damage deposit of AUD 200 is required on arrival. That's about 143.61USD. This will be collected as a cash payment. You should be reimbursed on check-out. Your deposit will be refunded in full, in cash, subject to an inspection of the property. The choices in the restaurant continue to let this venue down. The decor is a little dated and seems as though there could be a renovation or two. The lounge in our room had worn at the seams and the bathroom was dated by today's standards. The mattress was very firm and a bit lumpy. Rooms need a face lift especially bathroom. The restaurant is too limited and too expensive. Facilities and location were excellent. I just wish I could have stayed longer - I didn't get to find anything that I didn't like. I liked the idea that the mini bar was included. Room was clean , staff are friendly.